For commercial applications, precast concrete walls are designed to provide long-lasting value and performance over time. From the security and perimeter walls to sound and noise walls, AFTEC’s Precast Concrete Technology is the best choice for your project, no matter the scale. AFTEC Providing The Best Solution For Commercial Wall And Materials. When you choose traditional fencing materials like wood, chain link, vinyl, brick, wrought iron, or concrete blocks, they are prone to deterioration, vandalism and ongoing maintenance from the environment, ground movement, and insects. 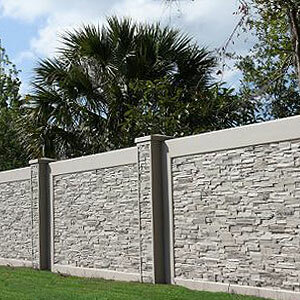 Choose AFTEC’s Precast Concrete Walls to add value and a long-lasting fence to your commercial property.